Greer's OC | Join the Brewheim Beer Family! Join the Brewheim Beer Family! 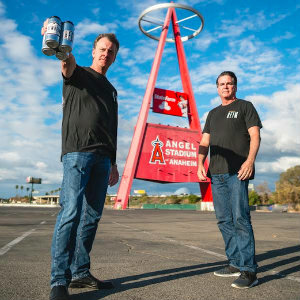 ANAHEIM Brewheim Beer Makers launched its Indiegogo promotional campaign leading up to the grand opening in early summer 2018! Until June 30, Brewheim is offering guests an exclusive pre-launch opportunity to “Join The Family”—giving those who donate to the campaign a gift card with up to 110% more than their donation to purchase Brewheim beer and merchandise. Also, six randomly-selected individuals will be chosen to win “Dollar Beer for a Year!” That will allow each winner to purchase one beer per day for just $1. Brewheim is located in the heart of Anaheim’s Platinum Triangle and is walking distance to Angel Stadium and Honda Center. The location will feature a 30-barrel brew system pumping out enough beer to supply 28 beers on tap in it’ s tasting room which is one of the largest in Anaheim.